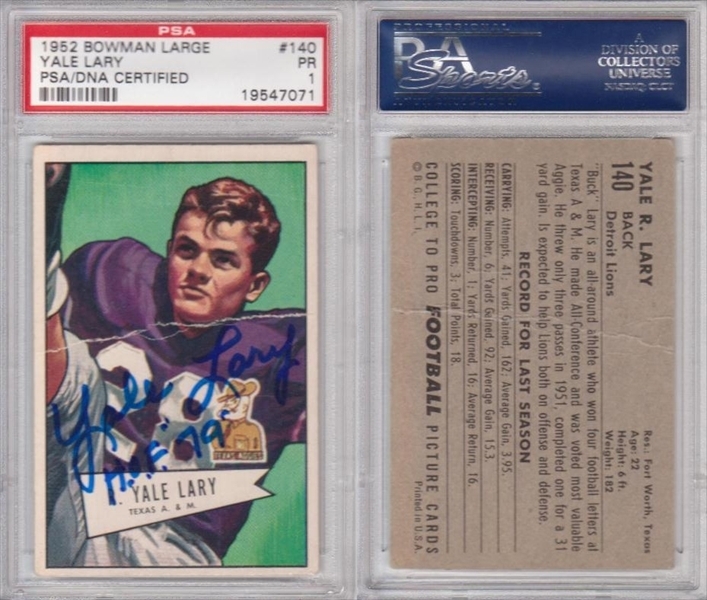 Player information: Another eBay won signature, but I do have quite a few of his signatures and I know this one to be legit. His signature is very identifiable and since he is still alive it can be found in may products. If you compare this to any certified signature you would agree. 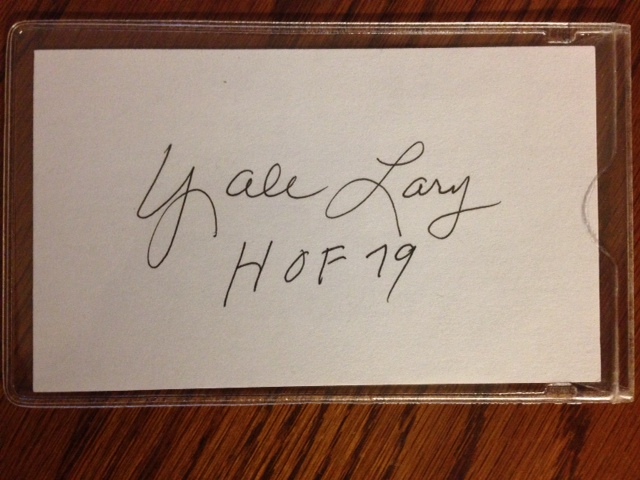 Usually inscribes “HOF 79”. The Y and L’s are always the same. He along with most of the secondary for Detroit in the mid-late 60s were just so dominating. Those defenses were always well represented in the Pro Bowl every year. This signature was big and I really wanted to keep the inscription in the window. 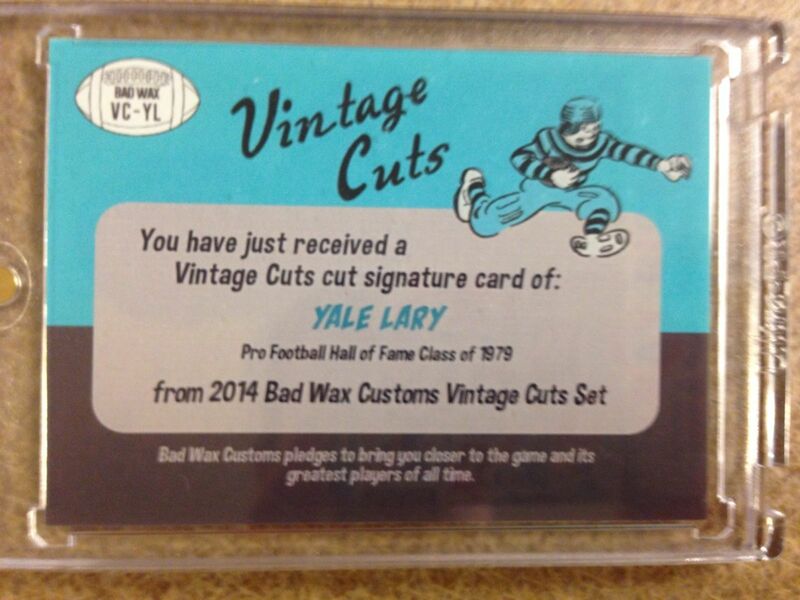 I did have to clip part of the Y in order to get the final Y in Lary to appear.